Dr. Suneet Soni - 4135 FUT Grafts, NW V A 39 years old patient, suffering from genetic baldness. NW class : V Baldness Technique Used : FUT Method Total Number of Grafts Implanted : 4135 We are hereby presenting 12 months post-op results. A 38 years old patient, suffering from genetic baldness. NW class : IV Baldness Technique Used : FUT Method Total Number of Grafts Implanted : 3850 We are hereby presenting 13 months post-op results. Thanks for the comment "verma554 & TrixGlendevon "
A 34-years old patient, suffering from genetic baldness. NW class : IV Baldness Technique Used : FUT Method Total Number of Grafts Implanted : 3650 We are hereby presenting 13 months post-op results. A 36 years old patient, suffering from genetic baldness. NW class : IV Baldness Technique Used : FUT Method Total Number of Grafts Implanted : 3800 We are hereby presenting 13 months post-op results. The hair transplant procedure is only a permanent remedy that facilitates the process of regrowth of hair from the area where it is lost. The process of transferring the hair roots that involve the donor area and the receiving area are included to fulfill the shifting process of hair roots via the harvesting method. There are two methods of extraction/harvesting is applied in the hair restoration surgery known as the FUT hair transplant and the FUE. Notably, the strip harvesting process offers a greater number of hair roots that can sort out the problem of the greater grade of baldness. On the other hand, the target area for the extraction is the back and sides of the scalp that contains the DHT-resistant hair roots that never fall out and hence offers the permanent outcome. Nowadays, the hair transplant in India has a greater impact and becoming a top-class choice to receive the hair restoration surgery. One major point that contributes a factor for luring the patient to visit India and take the benefits of the affordable hair transplant cost in India is about the renowned surgeons and Doctor. As a matter of fact, our India Surgeons and Doctor have international exposure because of their membership and recognition from the reputed hair restoration society, i.e., the ISHRS, ISAPS, IAHRS, etc. The time-to-time contribution of the Indian surgeon towards the reputed restoration bodies weighs their profile and achieves the reputed global presence in the restoration world. The Indian surgeons have remarkable stature for offering the best aesthetic outcome of the procedure. It has been estimated that every year around 70% of hair transplant cases are solved in India and the graph of offering the cosmetic surgery in India shares the 80% space. So, it has already been pointed out that the medical tourism in India has a healthy state. 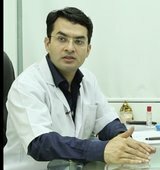 Why the Selection of Hair Transplant in India is a Worthy Decision: · One can get the reasonable cost of the procedure in India that is just 1/4t to the international cost pattern · The treatment offered by the pioneer Surgeon and Doctor ensures you about the best satisfactory natural outcomes · The artistic skills and quality of the Indian surgeons are outstanding · The facilities offered by the Indian clinics are well-standardized and match the American-standard for the safety & hygiene concern and all at an affordable cost option. So, it is always a good decision to get the surgery done in India and so, your next task to attend a consultation session with the reputed hair transplant surgeon.